Above: Celebrity Eclipse at the Alcantara terminal. 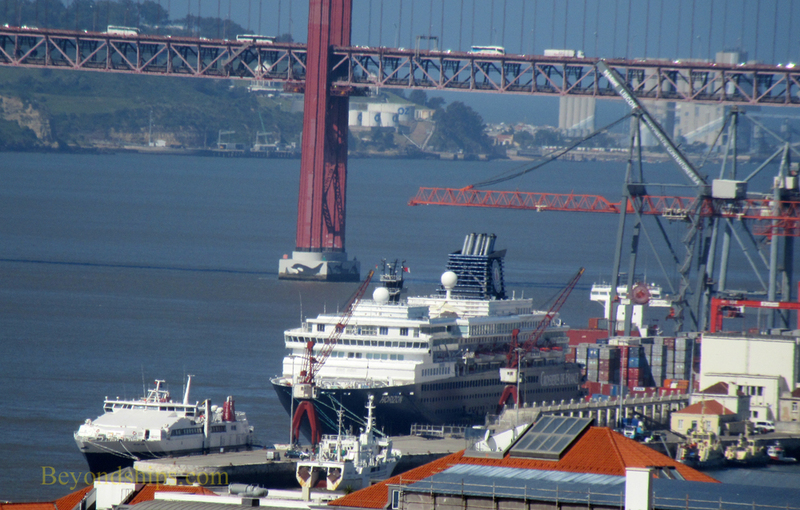 There are several cruise ship berths in Lisbon. However, they are concentrated in two locations. 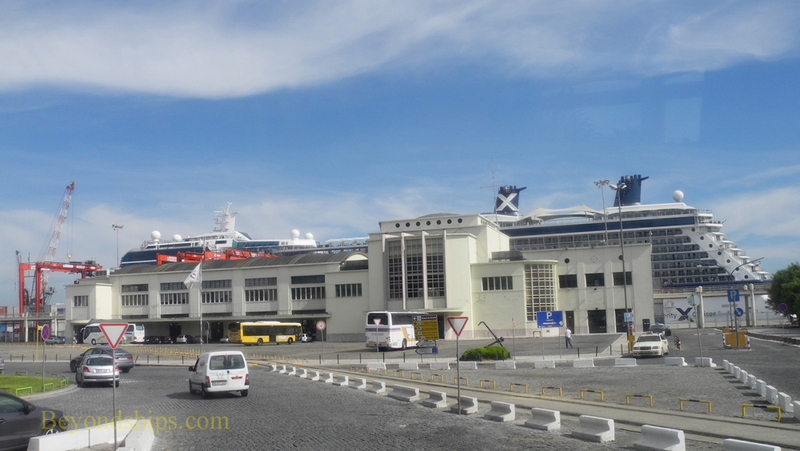 The Alcantera cruise terminal and the Rocha Conde de Obidos terminal are on the same quay near the Ponte 25 de Abril bridge. Both terminal buildings dating from the 1940s have craft shops, tourist information and telephones. They also have parking facilities for shore excursion coaches. 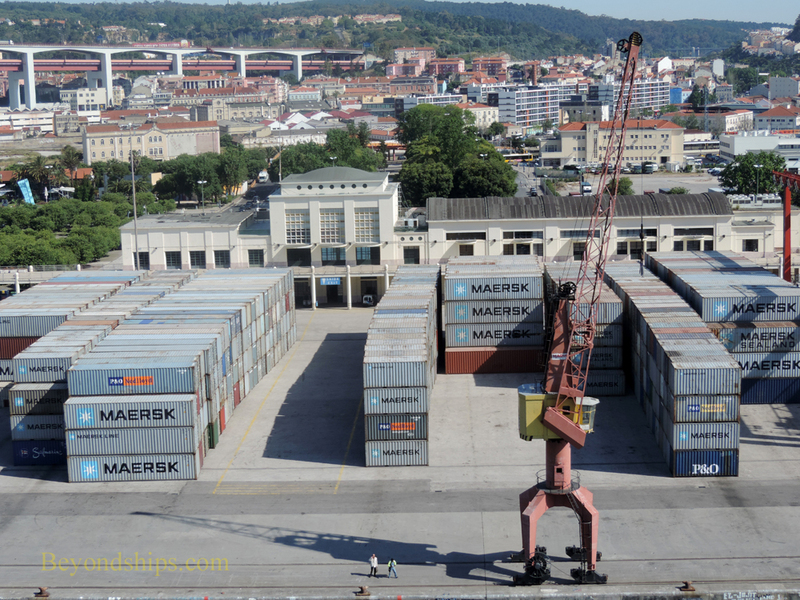 Between the waterside and the cruise terminal buildings are container freight facilities. This can affect the ease of access to the buildings from the ships as well as the aestehtics. These terminals are some distance from the major tourist attractions. However, they are served by public transportation as well as by taxis. It is about a 15 minute ride into the center of town. 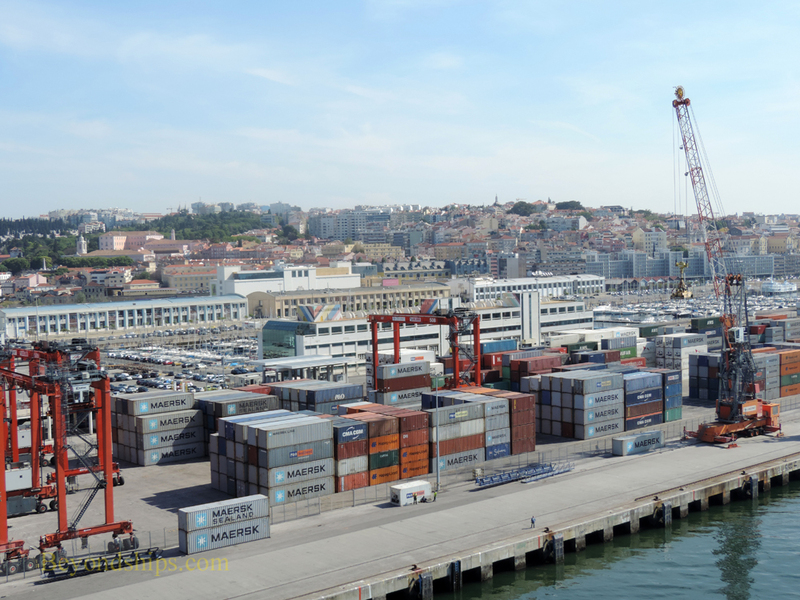 The Santa Apolina Terminal is at the foot of the Alfama district and is within walking distance of the Baxia district, which is considered downtown Lisbon. There are three berths at Apolina so multiple cruise ships can be using the facilities at the same time. Inside the cruise terminal building, there are crafts shops, tourist information and telephones. An adjoining parking lot acts as a staging area for shore excursion coaches. Right: Horizon (furthest right) at Alcantara and another ship at da Rocha. 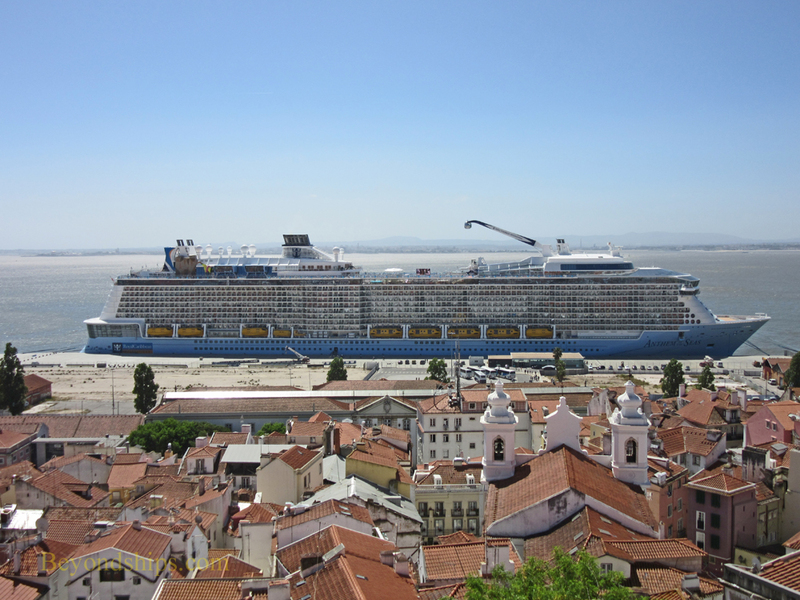 Below: Anthem of the Seas at Santa Apolina. Below: The da Rocha terminal.